Following the success of the 2016 tour, Hairspray returns on UK Tour for 2017/18 but has some brand new faces. If you don’t know Hairspray, you really should. Tracy Turnblad (Rosie O’Hare) finds herself on her favourite TV show, but it’s not long before she notices that black people can’t dance with the white people. She’s the most unlikely hero, but with a little help manages to take one big step to defeated segregation on live TV. 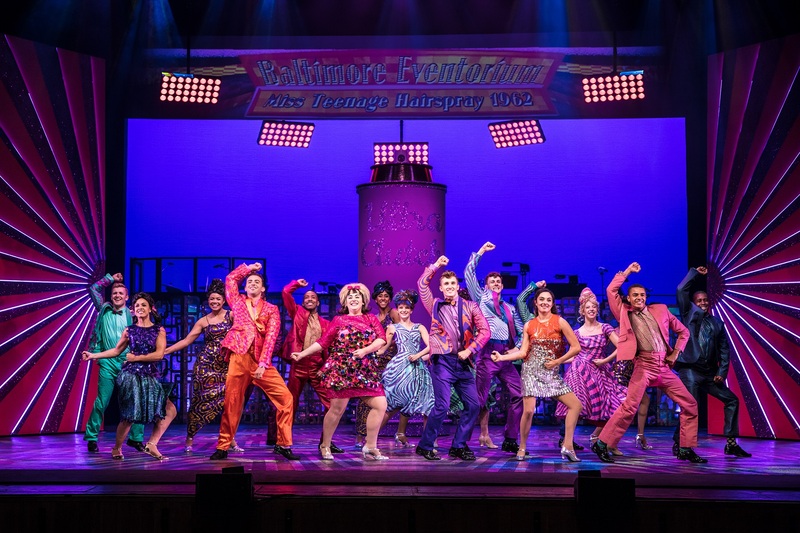 Hairspray is firmly established as one of the great dance musicals. It’s a stunning soundtrack, an entertaining script and the story of Tracy’s selfless fight for equality leaves you warm inside. A potentially heavy story is as bouncy as the hairstyles. Sprinkled with comedy throughout. 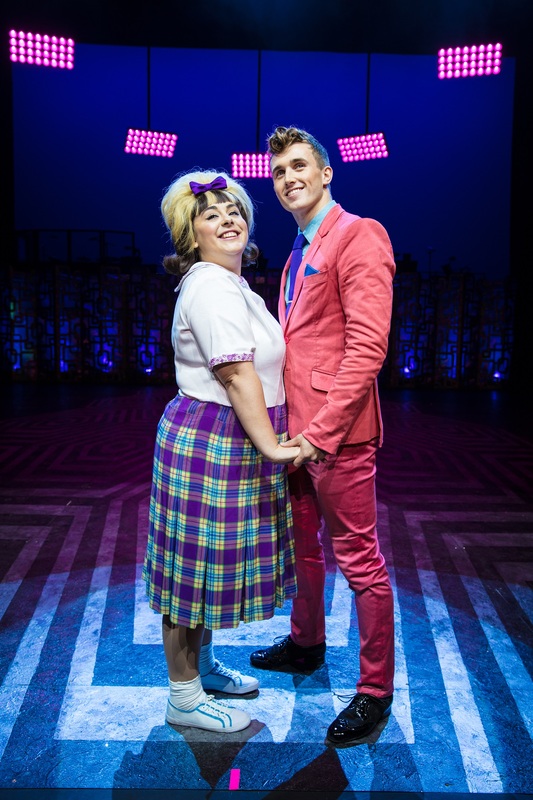 There’s even pantomime in the form of Tracy’s parents – Matt Rixon as Edna Turnblad supported by Graham MacDuff as Wilbur. Rixon provides devilish fun as a masculine Mum and MacDuff gives a warm performance as Dad. Their scene in Act Two is a highlight of this version. There are some serious stars in this show though – these are some of the names you’re going to be hearing alot more of. Gabbidon-Williams plays Seaweed very well. Cool, confident and bursting with talent – he’s a versatile actor/dancer who threatens to steal the show – along side Annalise Liard-Bailey. She’s just graduated and plays Penny. The best friend of Tracey and love interest of Seaweed. Although her character is closed in the early scenes, she provides a beautiful transformation throughout the show and is a joy to watch. Her version of the character is stunning to watch. 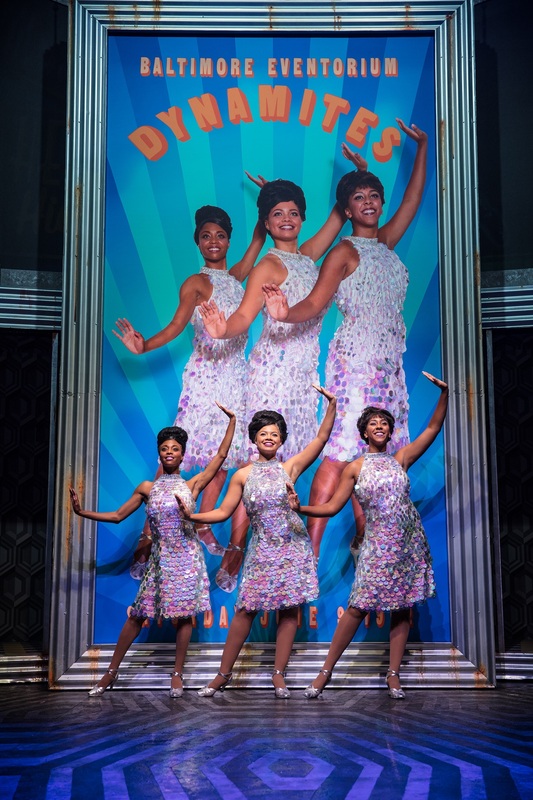 There’s another major highlight to this production: The Dynamites. Marion Fagbemi, Brianna Ogunbawo and Amana Jones are so good, so competent and so cool from start to finish. 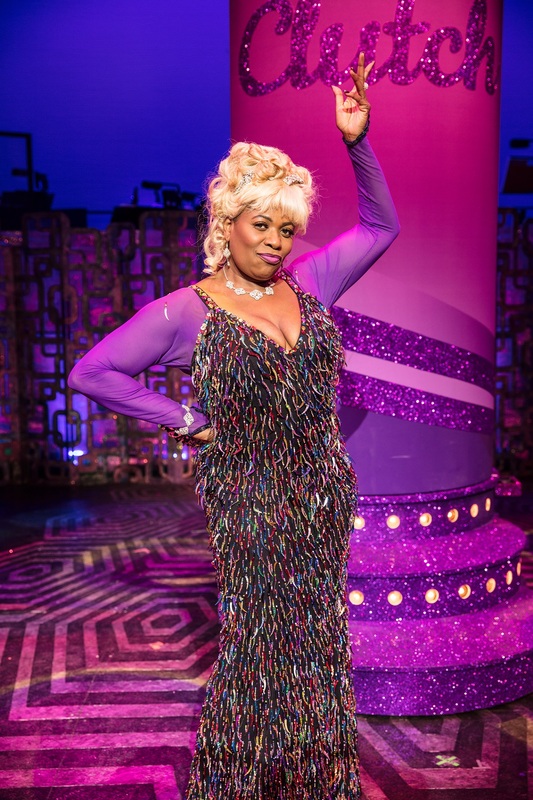 Raquel Jones delights as Little Inez and Brenda Edwards is an audience favourite as Motormouth. 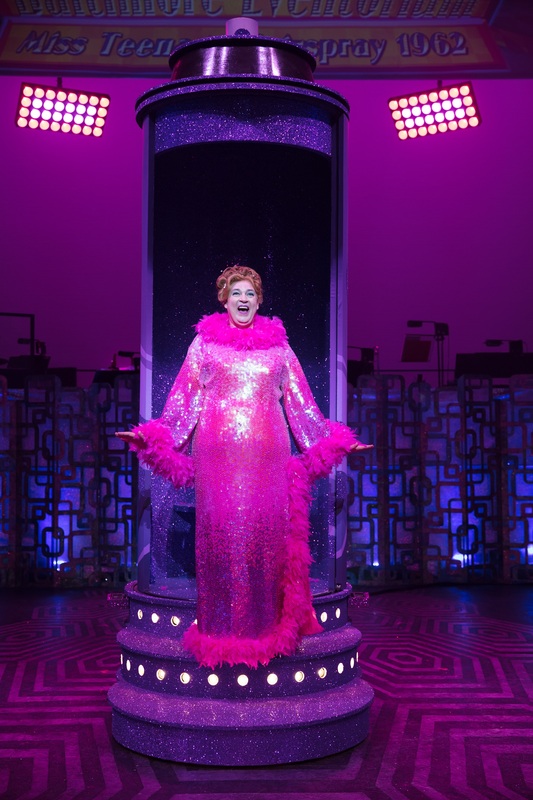 Gina Murray is hilarious as Velma Von Tussle, the show’s producer – working through the audience to tell them how she feels duri ng scenes is genius. In a huge cast of such quality, you really can get lost in a show like Hairspray. There’s not many shows that can guarantee audience enjoyment like this one can. Hairspray plays the Regent Theatre, Stoke-on-Trent until 16th June and tours until August 2018. To buy tickets visit: Hairspray UK Tour.